The past few weeks have not been easy. I've had some bad news, some uncertain news and no news (which I don't think is good news). 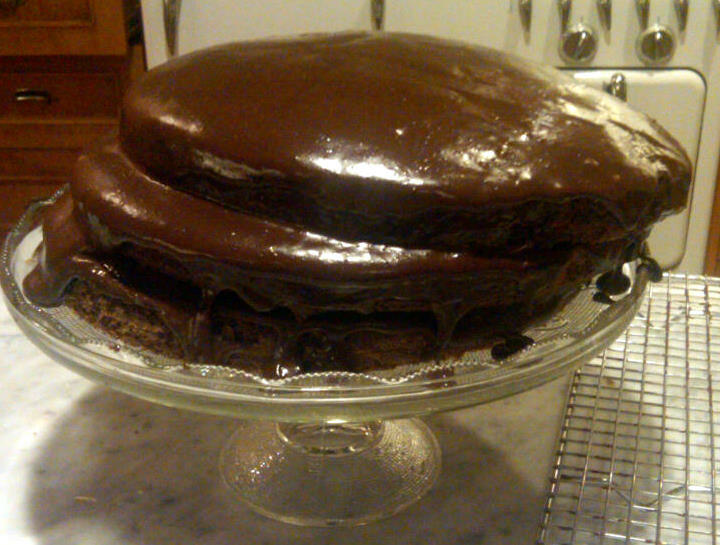 So to lift my spirits, I decided to make what promised to be a fail-proof three-layer chocolate cake. 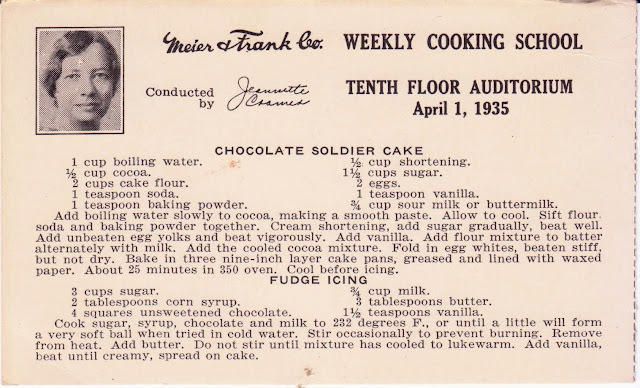 After all, the recipe is called Soldier Cake (implying a certain reliability, right?) and is from a 1935 cooking school (meaning it's tested, right?) Let's just say that next time I'll be having the wine, thank you. This was a bit of a disaster from the get-go. The frosting turned to hard (albeit delicious) fudge, burning out the motor on my trusty hand-mixer. To salvage it (as the three cake layers were waiting patiently on the counter), I heated the mixture, transferred it to my Kitchenaid mixer and began adding butter. Only I wasn't as patient as the cake layers and too late realized that the butter was simply melting into the frosting and not adding the texture it needed. Forging ahead, I simply frosted the cake with this mixture and crossed my fingers. That's when the fun began. The layers starting shifting, such that DH urged me to videotape the movement, which culminated with a section of the cake sliding off the cake stand, falling to the counter below. Undeterred, I cut a slice. And lo and behold (not that I should have been surprised), something happened such that the cake had several white spots where some chemical reaction (which I'll investigate) occurred, marring the pure chocolate surface. In the end, DS and his friends each had a big slice. There were no complaints (not that I expected any from a bunch of 22-year-old hungry young men) Of course, I too had a slice, and it was pretty tasty. Although this cake was the triumph I'd imagined, it made me laugh out loud. And what's better than that? Anyway, this goes to show that things aren't always as they appear and that published recipes are not necessarily better than those hand-written by housewives. Labels: chocolate soldier cake, fudge icing, Meier and Frank Co. I have had a few cake wrecks of this sort; they have always been delicious! I hope things are improving and that everything will be ok, Susan. Let me know if I can do anything. Thanks for sharing your triumphs as well as your challenges. It's a good reminder that kitchen misadventures can happen to the best of us. And hey, if one has to have a kitchen misadventure a chocolate one is the kind to have! I have a week left of time off so my plan is to attempt one of your recipes. Hope you get good news soon! So agree with Marsha. As long as all the ingredients can be salvaged, it's a win. I hope things are looking up. Enjoy your website. Nice! 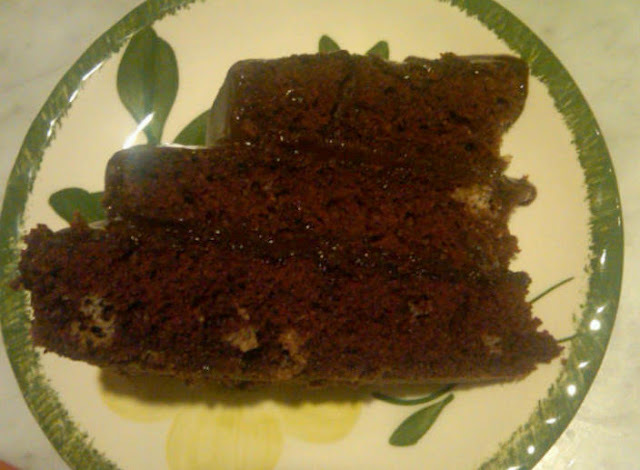 I love chocolate cake! Have you ever tried Justin's Chocolate Hazelnut Butter, it has less sugar than nutella, and nutella has more sugar than cake frosting! Check us out! 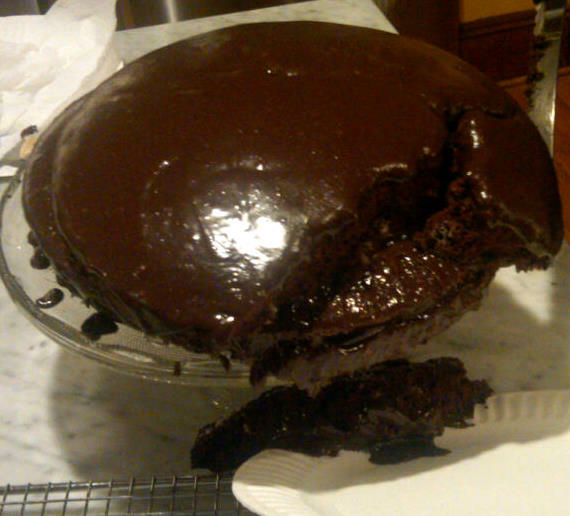 Thank you for sharing this cake - - it's always nice to see that other people have problems in the kitchen! Baking can be so tricky. The recipe sounds delicious - so maybe I'll try my luck with it. I always tell my kids, it doesn't matter what it looks like, as long as it tastes good! I hope all your news for this week turns into good news! Thanks everyone for your comments and kind wishes. 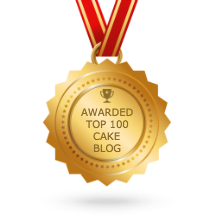 I will continue to post (nearly) all of my cake wrecks and all of my successes! And if you're looking for a more reliable chocolate cake, my next blog post will feature one, complete with a delicious and easy frosting. @Jaclyn: The DH LOVES Justin's Peanut Butter and doesn't leave home without it! I had a cake like this - when the frosting didn't "gel" I poked holes in the cake layers and let it run inside - called it a picnic chocolate cake and everyone thought it was on purpose! This one still looks like it tasted great! amazon59: Brilliant idea! I'll do that next time, and I'm sure there will be a next time! The cake looks so tempting. Big thanks for sharing your delicious recipe with us. For chocolate lover this is a perfect dessert to indulge ourselves. Yummy!